The Guttmacher Institute is a primary source for research and policy analysis on abortion in the United States. The Institute’s work examines the incidence of abortion, access to care and barriers to obtaining services, factors underlying women’s decisions to terminate a pregnancy, characteristics of women who have abortions and the conditions under which women obtain them. 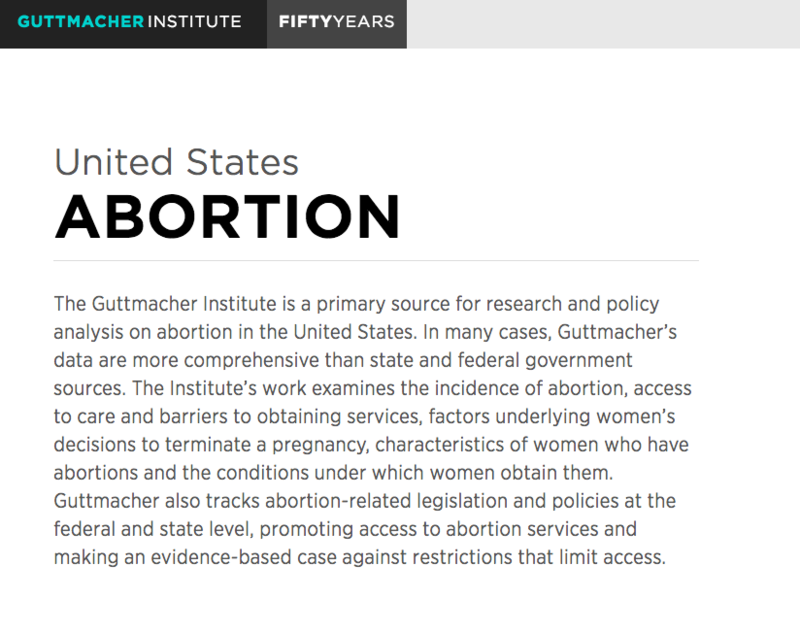 Guttmacher also tracks abortion-related legislation and policies at the federal and state level, promoting access to abortion services and making an evidence-based case against restrictions that limit access.